During the 1910s and 1920s, in Zurich, Berlin, Paris, New York, and throughout Eastern Europe, a loose network of small, artistically subversive, independent magazines reported on the hijinks and published manifestos of radical artists, schools, and movements. Aimed at the art world, dozens of short-lived journals—some of them notable—were written and “designed” by artists. 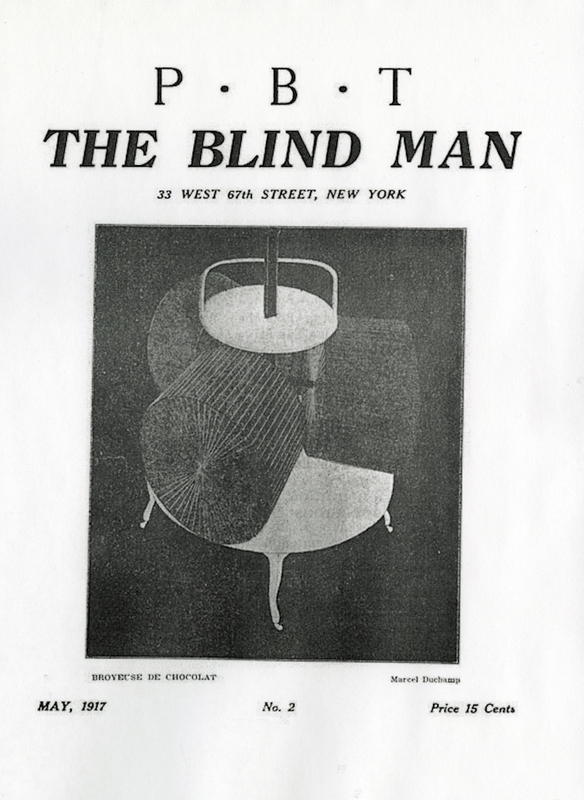 Four in particular were significant for their editor: two issues of The Blind Man and one of Rongwrong were helmed by the French émigrés Marcel Duchamp and Henri-Pierre Roché, in New York, in 1917, and one issue of New York Dada was also edited by Duchamp alongside Man Ray. The Blind Man ceased publication after Roché lost an absurd bet with artist Francis Picabia (who published the longer-running 391 magazine). Picabia and Roché played a chess game to decide who would continue publishing his respective magazine. Picabia was the victor: Roché and Duchamp discontinued The Blind Man as an act of Dada. The Blind Man and Rongwrong had amateurish interiors bound between fairly dull black-and-white covers. 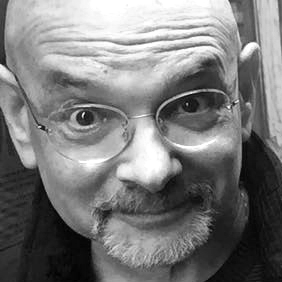 Convention dictated that the artists themselves could indicate layout preferences, but they were at the mercy of the printer for the actual composition. Professional page layout was neither goal nor virtue. 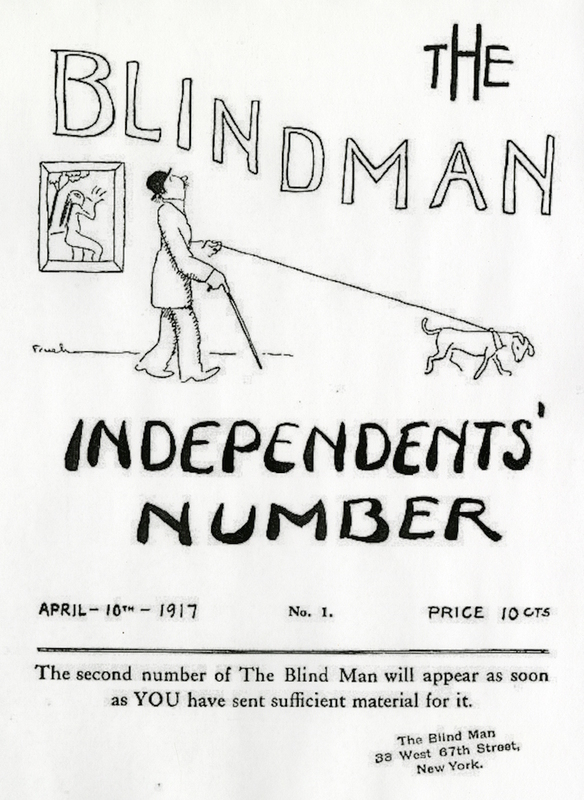 The first issue of The Blind Man was published in April 1917. The second (P.B.T. 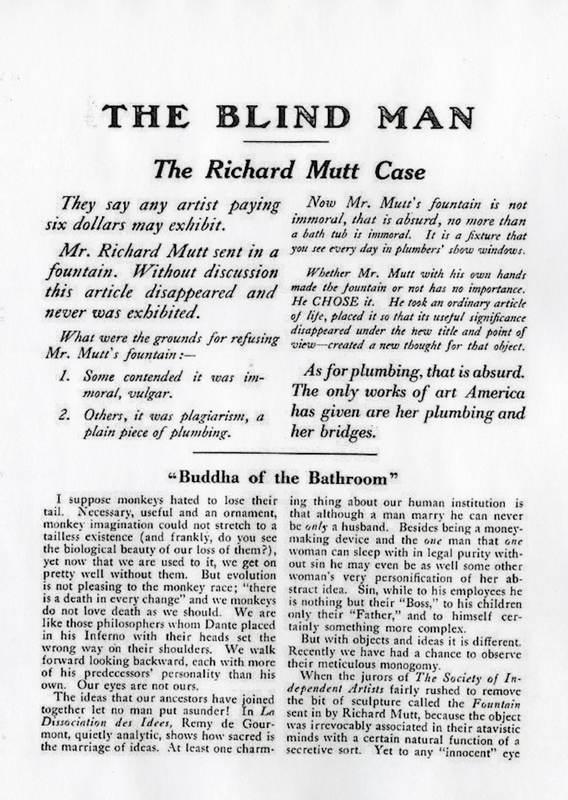 The Blind Man), in May of the same year, included an article titled “The Richard Mutt Case,” a protest over the unceremonious rejection of R. Mutt's (that is, Duchamp’s) Fountain (his readymade urinal) from that year’s Society of Independent Artists exhibition (and photographed by Edward Stieglitz). Following The Blind Man’s demise, Duchamp launched Rongwrong (in May 1917), which he edited with Roché and Beatrice Wood. 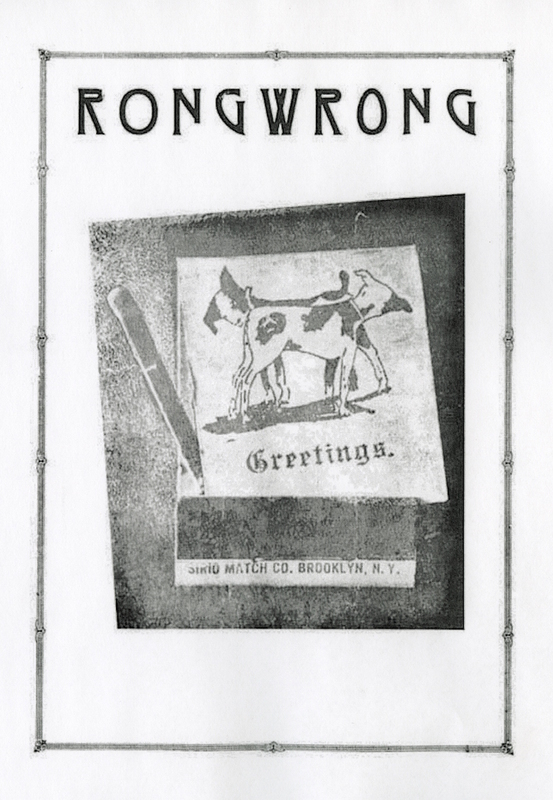 Duchamp intended the title of the magazine to be Wrongwrong, but a printing error resulted in Rongwrong. 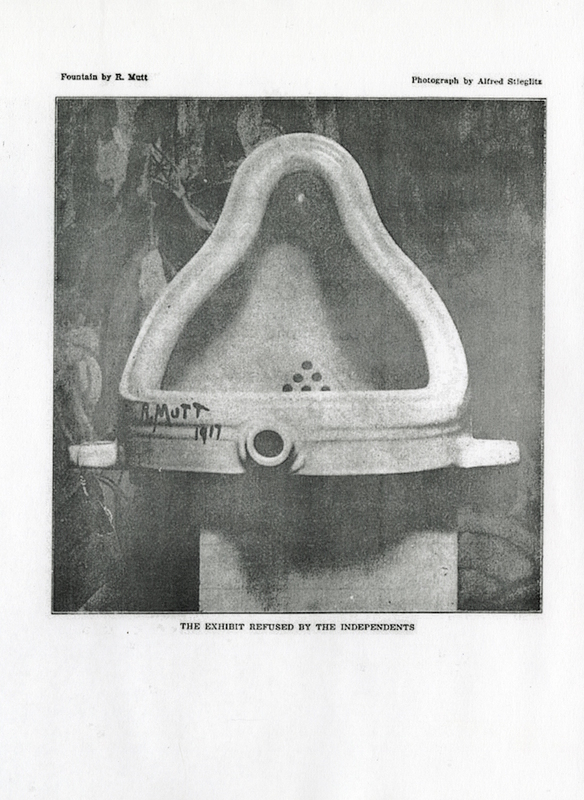 The mistake appealed to Duchamp's interest in serendipity, consistent with his advocacy of readymades. Layout for both magazines also had a ready-made aesthetic, insofar as Duchamp accepted what the printer provided. New York Dada was more visually ambitious, and deliberately primitive compared to mainstream journals. Each page in this new four-page journal was a distinct typographic and visual experience that appeared to mix art and advertising techniques into a mélange of eccentricity. The cover was a masterpiece of contorted typesetting—a page stuffed with hundreds rows of the typewritten words “New York Dada April 1921” cascading in red upside down and framing a bottle of Belle Hélène perfume. Inside, the layouts were typically skewed, though not any more raucous than other journals. Tristan Tzara’s own testament to (and authorization of) New York Dada, titled “Eye-Cover, Art-Cover, Corset-Cover Authorization,” appears in blue ink on the second page and is laid out rather unexceptionally. This first and only issue, printed on glossy paper, also included photography by Man Ray, poetry by artist Marsden Hartley and German avant-garde performance artist Baroness Elsa von Freytag-Loringhoven, and a cartoon by Rube Goldberg.